LEVEL 1 - SCHOOL OF THE BIBLE - Upon successful completion, you will receive a Dancing For Him Continuing Education in Biblical Studies Certificate. 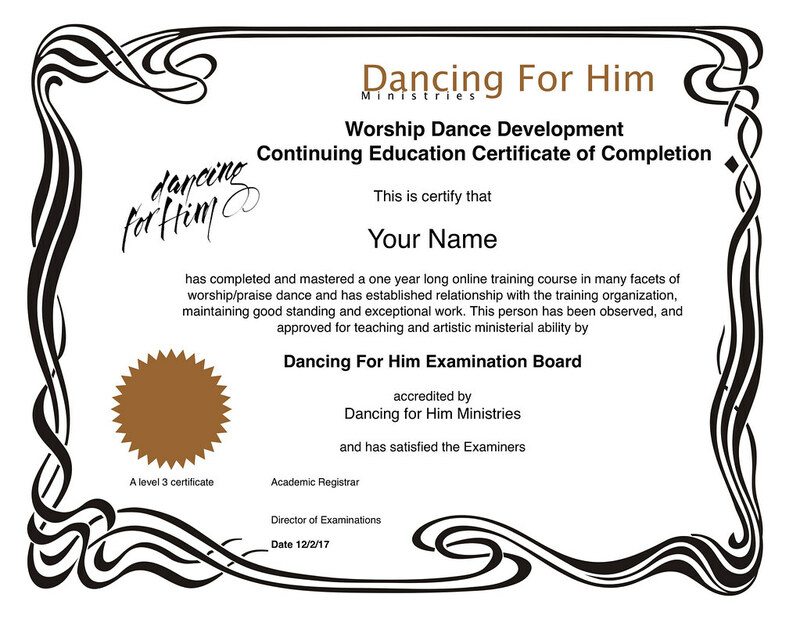 If you are combining Level 3 from the Dancing For Him Worship Dance school with Level 1 of the Bible School, you must have completed Level 2 of the Worship Dance School (no matter what other experience or training you may have had). However, Level 1 of the Bible School may be done by itself. 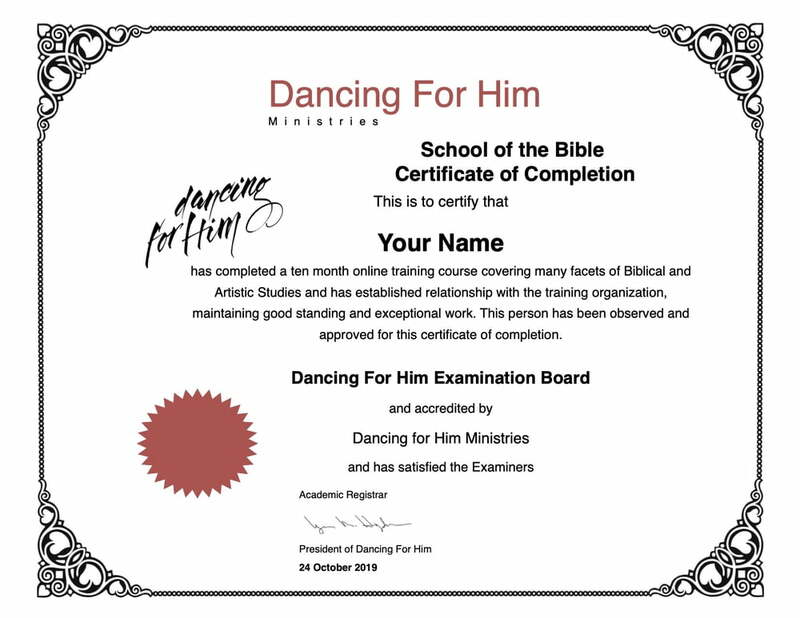 You may register for the Bible School by itself here. Each course goes from January 10 - October 24th. They must be done simultaneously.